The Niagara River takes a sharp bend on its way to Lake Ontario...resulting in a Great Whirlpool that's several hundred feet deep in the centre. 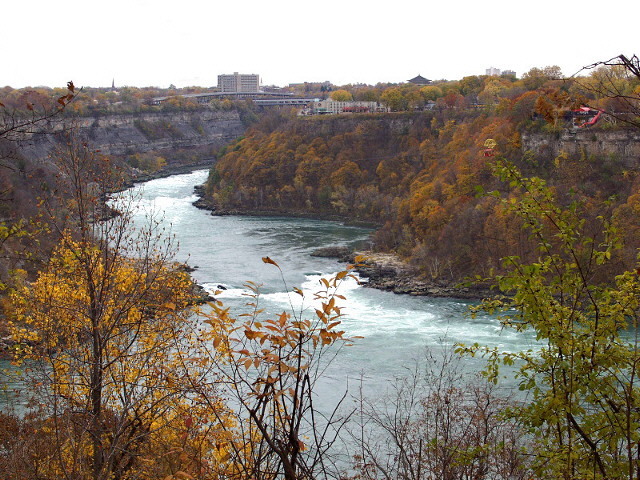 Suicides and other debris usually collects in the Whirlpool and can often remain there for days before either reaching shore or traveling further downriver towards the lake. Its also a favorite fishing haunt for locals. I have read your comment with an interest. It added to the picture a story. Without it I would skip this topic!